Price of Acer Aspire A515-51 Ultrabook (Core i3-7130U(7th gen)/4GB RAM/2TB HDD/39.6 cm (15.6)/Windows 10 Home With Office Home and Student 2016) (NX.GPASI.001) (Steel Grey, 2.2 kg) in the above table is in Indian Rupee. The Acer Aspire A515-51 Ultrabook (Core i3-7130U(7th gen)/4GB RAM/2TB HDD/39.6 cm (15.6)/Windows 10 Home With Office Home and Student 2016) (NX.GPASI.001) (Steel Grey, 2.2 kg) is available in Paytm. Acer Aspire A515-51 Ultrabook (Core i3-7130U(7th gen)/4GB RAM/2TB HDD/39.6 cm (15.6)/Windows 10 Home With Office Home and Student 2016) (NX.GPASI.001) (Steel Grey, 2.2 kg) prices varies regularly. 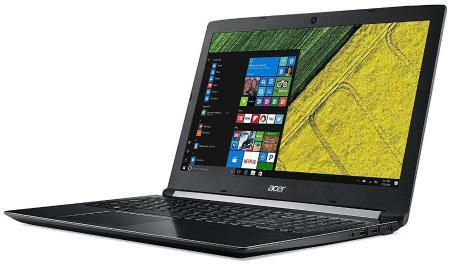 Please keep on checking our site to find out the latest prices of Acer Aspire A515-51 Ultrabook (Core i3-7130U(7th gen)/4GB RAM/2TB HDD/39.6 cm (15.6)/Windows 10 Home With Office Home and Student 2016) (NX.GPASI.001) (Steel Grey, 2.2 kg).